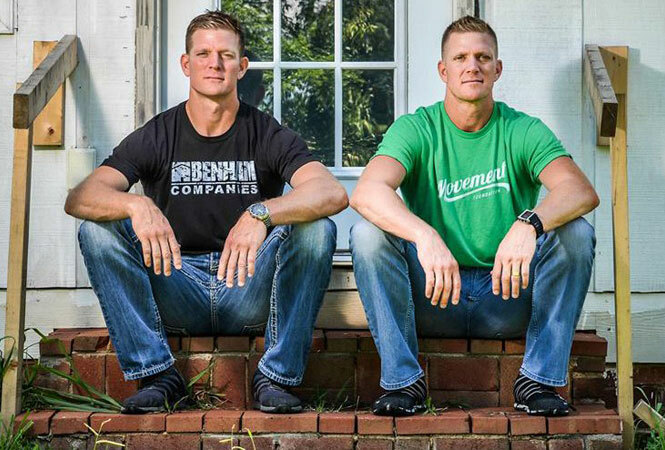 HGTV announced Wednesday that “Flip it Forward,” due to debut in October and starring anti-gay activist David Benham and his twin brother Jason, will not move forward. The announcement came following a report by Right Wing Watch that labeled David Benham as a “dedicated right-wing activist,” although HGTV spokeswoman Audrey Adlam refused to say why the show was canceled. The Benhams, based in Concord, N.C., had planned to use their experience buying cheap homes and renovating them in their new show. “The first and last thought on our minds as we begin and end each day is; have we shined Christ’s light today? Our faith is the fundamental calling in our lives, and the centerpiece of who we are. As Christians we are called to love our fellow man. “Anyone who suggests that we hate homosexuals or people of other faiths is either misinformed or lying. Over the last decade, we’ve sold thousands of homes with the guiding principle of producing value and breathing life into each family that has crossed our path, and we do not, nor will we ever discriminate against people who do not share our views. In 2012, David Benham said “homosexuality and its agenda that is attacking the nation,” and wrote in the Christian Post that marriage equality “erodes the moral fabric of our society” and “threaten(s) future generations,” adding that gay men will never find true love.